In rural Mozambique, churches are creating community around clean water. A ministry in downtown Kansas City is providing safe spaces for women. Community is gathering around a large organic garden in Argentina. In Liberia, women are starting their own businesses and finding economic freedom. INTO THE RED-LIGHT DISTRICT: Showing hope to women in exploitation. In a red-light district in India, women who are exploited are finding hope. One organization in Canada gives job training and dignity to those living on the streets. Families involved in foster care share their stories and their calling. In Germany, the work of a local church sheds light on God’s presence in brothels. 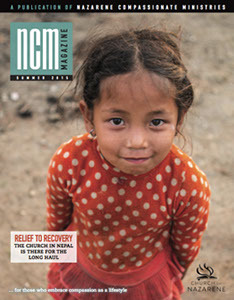 DISASTER RESPONSE: When tragedies strike, the local church is there before, during, and after. When a string of disasters rocked our world, churches mobilized to care for people in the aftermath. Why a young woman in Ghana started a justice club to make sure girls can stay in school. A former sponsored child shares how sponsorship changed the trajectory of her life. Savings groups are enabling people to turn their dreams into reality for the first time. Refugees share their stories of fleeing and finding hope in a series of featured stories. Sponsored children share their favorite recipes so you can bring the world to your kitchen. Families in Odessa, Ukraine, make a new life after being displaced by violence. The church becomes family in a slum in the Philippines, where possibility replaces poverty. 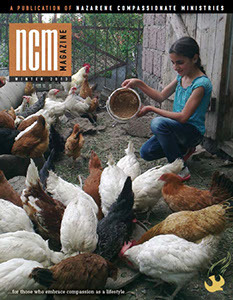 People grow a future in Kosova, where one church is alleviating hunger with greenhouses. 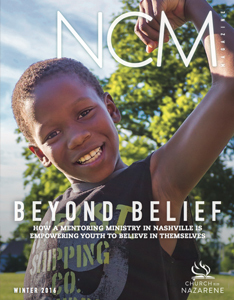 In an area of Nashville, Tennessee, known for violence and poverty, mentors aim to transform the lives through empowerment. After decades of separation, a pastor is reconnected with the couple who sponsored him. A church in Monrovia, California, is making sure everyone is welcome at the table by providing immigration resources. Villages in rural Sri Lanka finally able to have access to the clean water they’ve needed for years. What happened when a church said, “Come as you are." 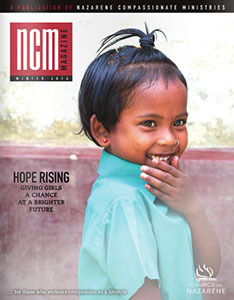 Subscribe today to revieve your copy of NCM Magazine.